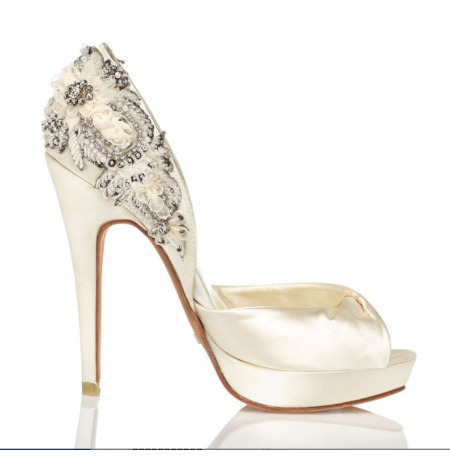 Beaded ivory bride shoes with spiked heels. 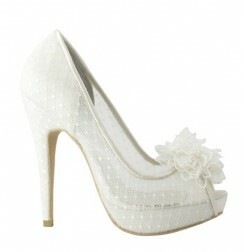 Superb open, smart heels made of off-white coloured satin. 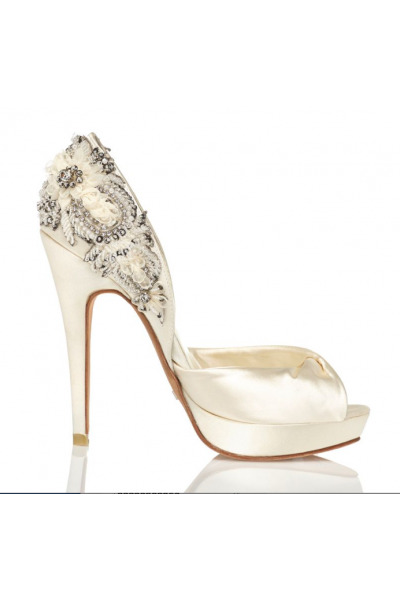 These evening shoes are adorned with leaf-shaped pearls at the back of the foot. 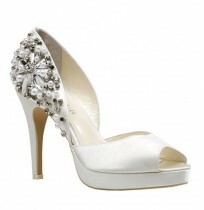 Offering you great comfort, these elegant shoes are equipped with a very high spiked heel. 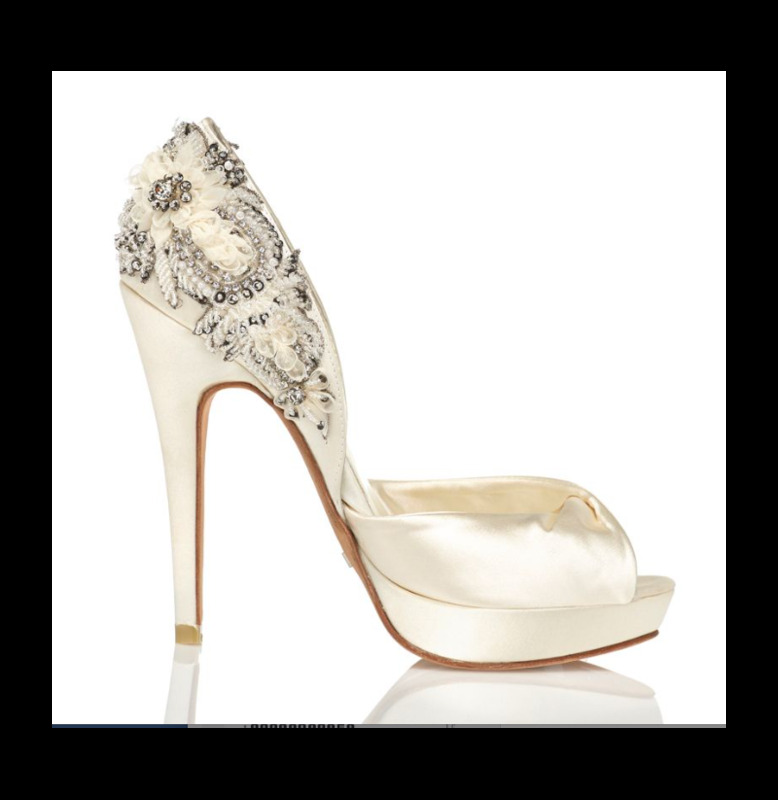 These beautiful beaded shoes are original, the high heel is comfortable, with a open and curved tip. The off-white evening heels are sophisticated. The high heel is 13 cm (5.1 in) high with a 2 cm (0.8 in) platform, decreasing the arch to 11 cm (4.3 in). These off-white coloured shoes will provide you with style and elegance, mixing comfort and quality. The inside of the shoe is lined with leather and fabric, the insoles are made of leather.